At the beginning of your upkeep, for each artifact target player controls in excess of the number you control, choose an artifact he or she controls. 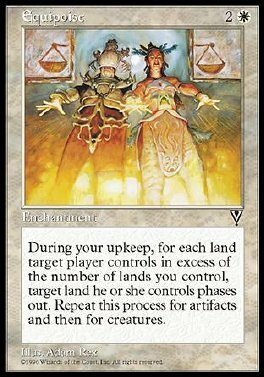 Repeat this process for creatures and lands. The chosen permanents phase out.